A manager once told me that they could be a better manager if they had better people to manage. Of course, good people managers can work with all kinds of people, and don’t shy away from the challenge of working through difficulty. This is especially true when there is conflict on a project. You need to face the conflict and not ignore it. Ignoring it only makes the problem worse. The earlier you face it, the easier it will be to resolve. Conflict can occur with your managers, your peers or your staff. Here are some examples of conflict you might experience on projects. Your boss is frustrated with progress and takes it out on you openly, in front of others in your team. Your colleague wants something from you that you can’t provide, or can’t do for them within the timeframe required so they get angry. Your staff think you’re being unrealistic about timeframes, so they handle it badly by raising their voice and being obstructive. Take a time out. If you or the other person is getting heated, tell them you need to take five minutes to collect your thoughts. Even though you asked for the five minutes, it is really for the other party to cool off as well. Make a coffee or go for a walk. It might be surprising how a short walk (or a long one) can help you relax. This will help you both to calm down and reflect on what has happened. Defuse the situation. When you restart your conversation, start with a disarming comment such as “Sorry. I have been under pressure.” or “Let’s start over again.”. This will make the atmosphere more positive. Identify the cause of the conflict. Many times when emotion is high you may lose site of the actual cause of the conflict. State your perception of the cause and see if the other party agrees. Solve the problem. The nature of “confrontation” is that you need to “confront” the problem and solve it. Both parties need to work together to resolve it constructively. Discuss the various solutions to the problem and try to agree on the pros and cons of each before deciding on the best course of action. Observe body language. While all this is happening, you need to focus on your body language. Use open stances. Take your hands out of your pockets and never fold your arms. Try and use slow hand movements. Use a passive voice. Maintain good eye contact. Listen carefully and watch their body language as well. Agree on a course of action – and follow-through. This helps to ensure the conflict is resolved and also builds trust that will help defuse similar situations in the future. You can utilize this process to turn a conflict into a team-building and learning opportunity. Need training on project soft skills – leadership, negotiating, communication, change management? Contact us today to discuss bringing a training class to your organization. It’s critical that a Project Manager manage expectations by communicating items that are factual, timely, and relevant. You are responsible for removing any ambiguity or confusion around a project through plain talk and crystal clear communication. A successful Project Manager also employs a variety of communication methods ranging from face-to-face meetings to chat to group presentations. 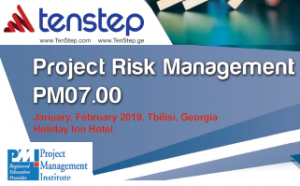 Identifying, analyzing and managing risk is a key responsibility of Project Managers. You can have the best plan in the world, but there are many potential problems that will get in your way. You need to ensure your project remains viable regardless of these potential problems. This can be accomplished by monitoring and managing risks throughout the project. There are often real and current obstacles that will slow down your project. You cannot always prevent or foresee problems. However, once they occur you need to address and resolve them quickly. The project environment can be hard on team members. Things may not be going as planned and your team may be buckling. It’s your responsibility to keep morale high that they can get through tough times. This can be simple things like talking to people, telling them they are doing a good job and looking out for their interests. Use levity and humor where appropriate. It is your responsibility to keep your projects within budget and schedule. Projects consume resources and resources cost money. You need to be a financial steward of these valuable resources and manage them carefully. Always manage a project with an eye on your budget and deadline. When you start to drift, do everything you can to get back to baseline. What do you get when you focus on the meat and potatoes of these five main responsibilities of a Project Manager? You become a plain talking, risk averting, obstacle removing, morale building, bottom line-er Project Manager! Who wouldn’t want to have someone like that heading up their next project?